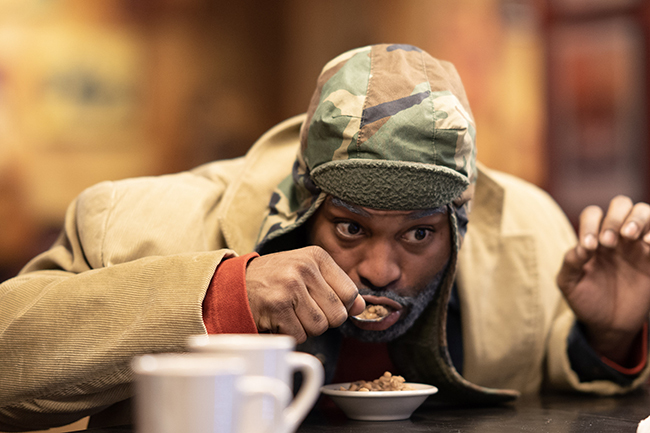 Rory Sheriff, founder and producer of Brand New Sheriff Productions — and the author of two works staged at Spirit Square, Be a Lion and Boys to Baghdad — has a special affinity for the work of August Wilson. 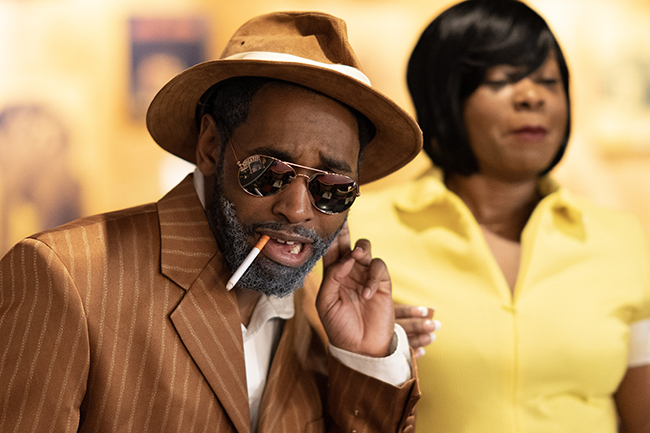 After presenting Wilson’s Jitney at Duke Energy Theater in 2017, BNS is back on Thursday, Jan. 31, with Two Trains Running, another drama from Wilson’s acclaimed 10-play Pittsburgh Cycle. Two Trains will run through Feb. 9, and Sheriff doesn’t plan on stopping there. 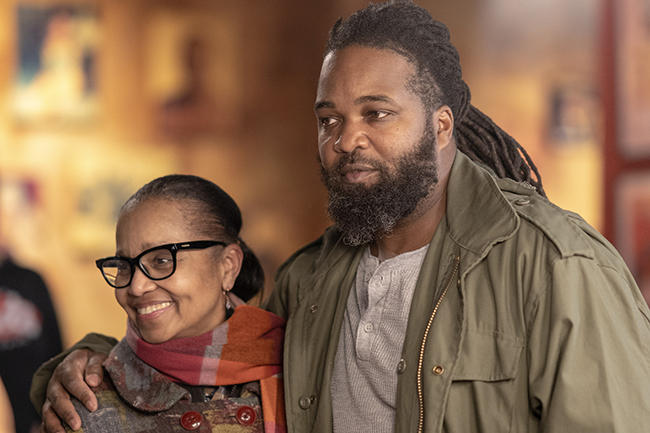 The special appeal of America’s pre-eminent black playwright for Sheriff is twofold — as a writer and as a Pennsylvanian. Each of the plays in Wilson’s Cycle is set in a different decade of the 20th century, and all of them are set in Pittsburgh’s Hill District, except for one Chicago excursion representing the 1920s, Ma Rainey’s Black Bottom. The only play that predates Ma Rainey was the one Sheriff first plunged into, Jitney, which premiered in 1982 and represents the 1940s. By the time Two Trains, representing the 1960s, premiered in 1990, Wilson had already finished six of the plays in his Cycle. This extraordinary announcement comes during an extraordinary launch of Black History Month, with three theatrical productions featuring black performers opening in the same week — making unprecedented Charlotte history. While Theatre Charlotte is waiting until Feb. 1 to open Ain’t Misbehavin’, Actor’s Theatre is jumping the gun, officially opening Nina Simone: Four Women on Wednesday, Jan. 30. None of these productions is miniscule, testifying to the depth of black acting and musical talent across the Queen City, so the time is ripe for Brand New Sheriff to be making bolder, more ambitious plans. “All of the actors in Two Trains Running have been in at least one Wilson play,” says director Corlis Hayes. Hayes is no first timer, either. Combined with the four she has directed at Central Piedmont Community College, where she teaches in the drama program, Hayes has now directed six of the 10 Pittsburgh plays, including the two Pulitzer Prize winners, Fences and The Piano Lesson. Like Jitney, the action in Two Trains Running takes place in a building slated for acquisition and demolition by the city of Pittsburgh. The wrongheaded concept of urban renewal evidently had a cancerous grip on black community life for a long time. Here, it’s a restaurant rather than the gypsy cab company facing its doom in Jitney, and the restaurant owner, Memphis, is our protagonist. He’s holding out for a fair price on his property — against the lowball bids of both the city and the ghoulish, rapacious West, who owns West’s Funeral Parlor across the street. Memphis also has some unfinished business back in his hometown of Jackson, Mississippi, where he was driven off his land many years earlier and not paid a dime. He’s typical of the black men in Wilson’s plays, struggling against a system that white society has rigged against them. Echoing that reality — or responding to it — men in both Jitney and Two Trains Running play the numbers, hoping that luck will supply the boost that honest work doesn’t. Recently discharged from prison, another recurring Wilson motif, Sterling is trying to interest Memphis and his male customers in attending an upcoming Black Power rally. Jonovan Adams, who has performed in all the Wilson plays that Hayes staged at CPCC, will portray the restless, volatile Sterling. Activism isn’t the character’s only pursuit: he asks everybody he speaks with for a job or at least a lead, and he’s persistently trying to make headway with Risa, Memphis’ troubled waitress. Working on her second Wilson drama, Nicole is switching companies and directors. The legendary Lou Bellamy, founder of Penumbra Theatre Company in St. Paul, Minnesota, worked directly with Wilson on multiple occasions. Bellamy not only directed Nicole for On Q, he also directed her as an understudy for the Blumenthal Performing Arts production of The Mountaintop that played at Booth Playhouse in 2014. It was Bellamy, speaking about Seven Guitars in 2015, who pinpointed the power and appeal of the Pittsburgh Cycle’s decades-long saga.